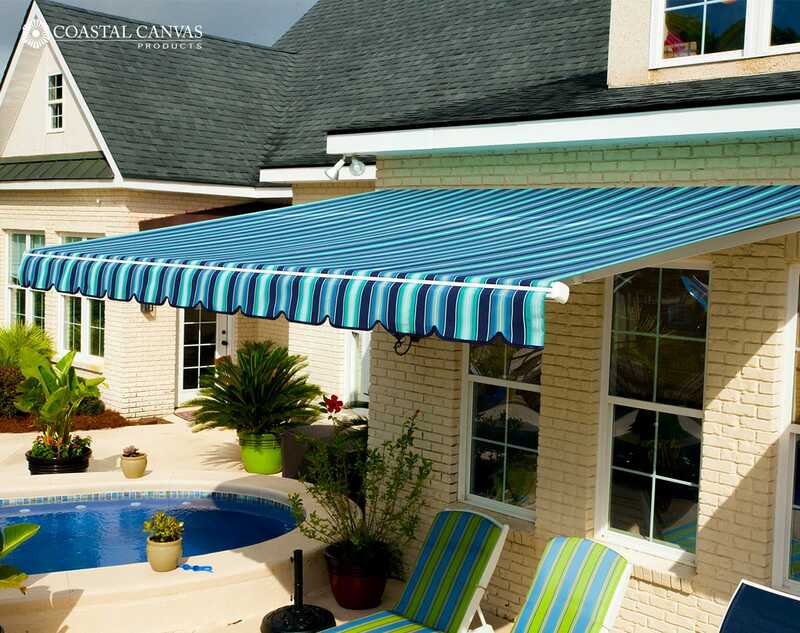 Our Retractable Awnings add to your quality of life in many ways. 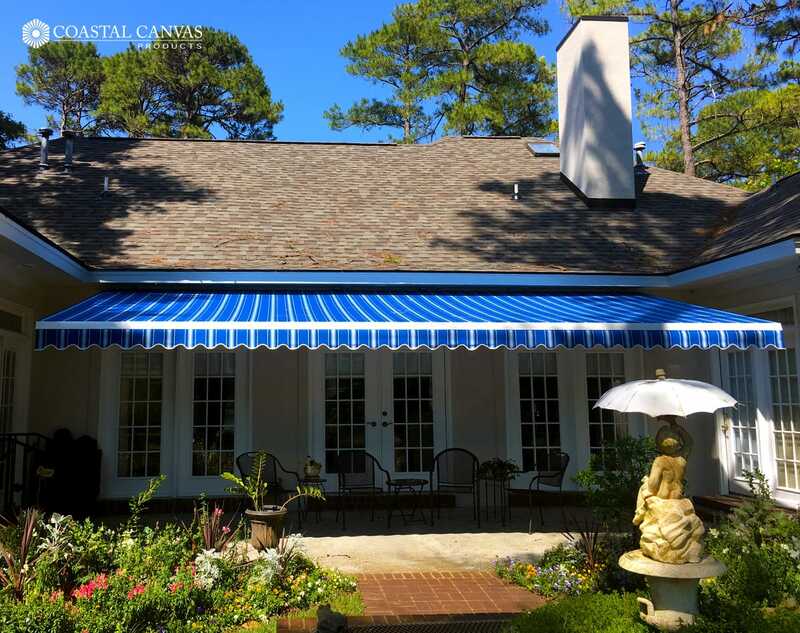 The advantages of a Coastal Canvas Retractable Awning offer multiple benefits to enhance the enjoyment of your home. 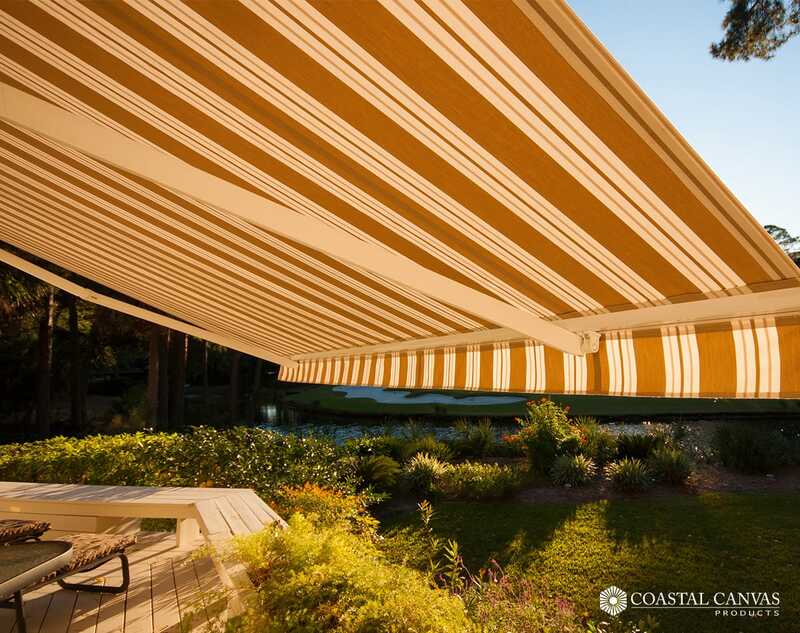 With a Coastal Canvas Retractable Awning, you control the shade. Enjoy your outdoor living area more than ever with the convenience of total shade control. Extend and retract your awning with the turn of a handle or push of a button - it's that simple. 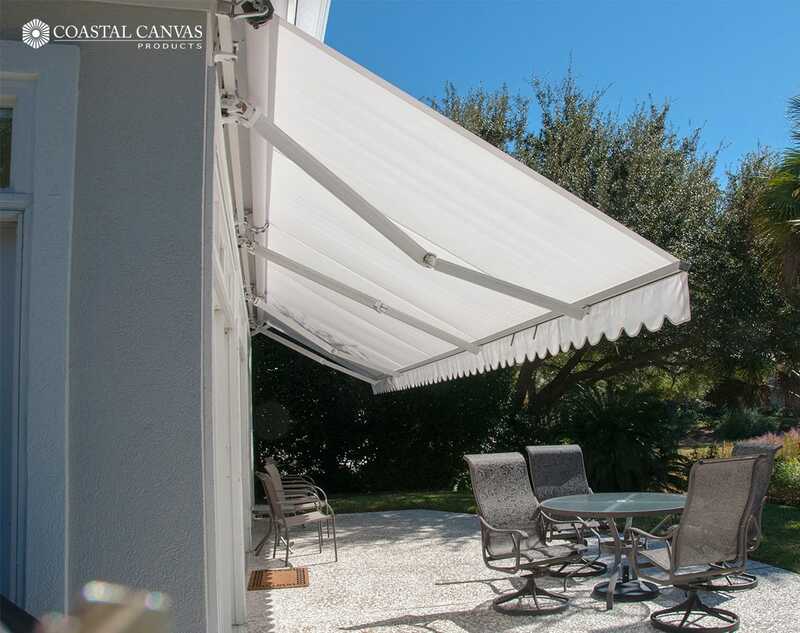 Your awning can be extended fully, partially, or retracted depending on the amount of shade you need or how much sun you want. 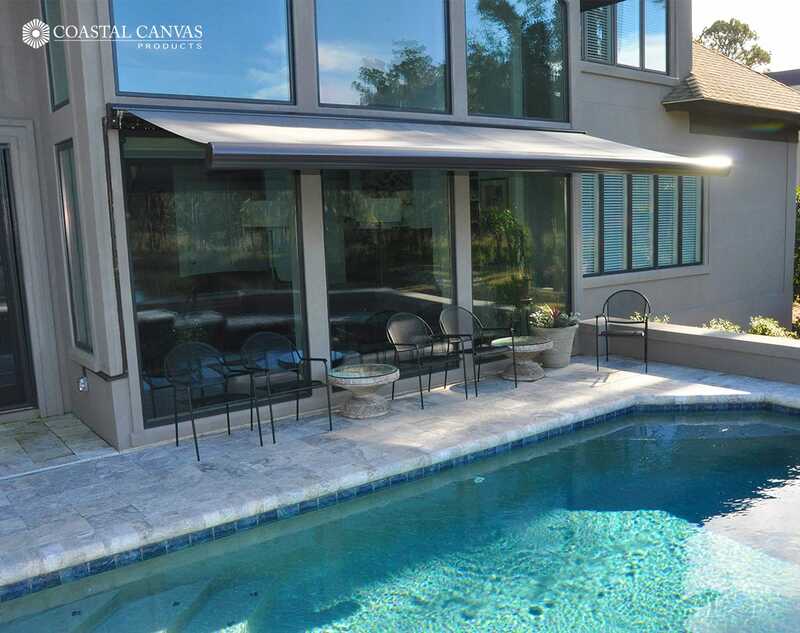 Retractable Awnings', streamlined designs eliminate the need for support poles, so our awnings block only the sun or light rain, and not your view. 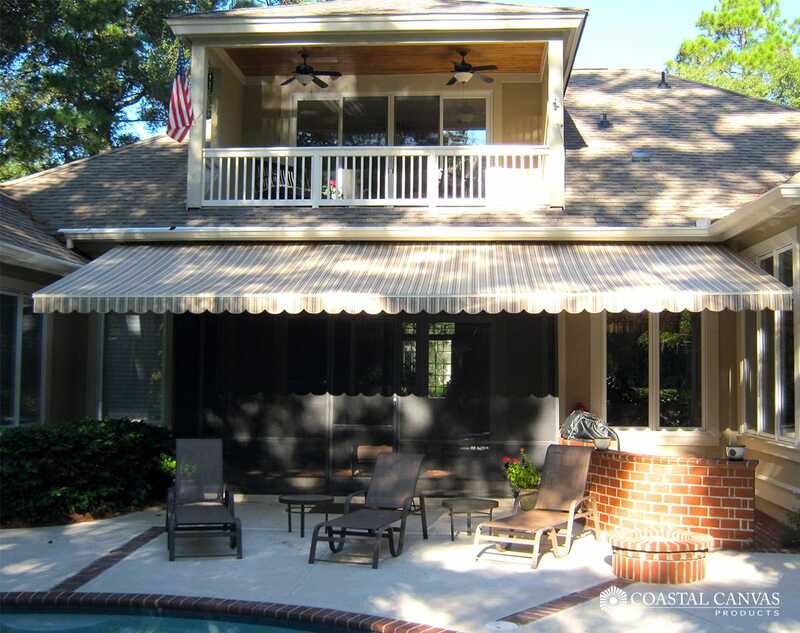 Maximize your usable shaded outdoor living space and your view with the addition of a Retractable Awning to your home. 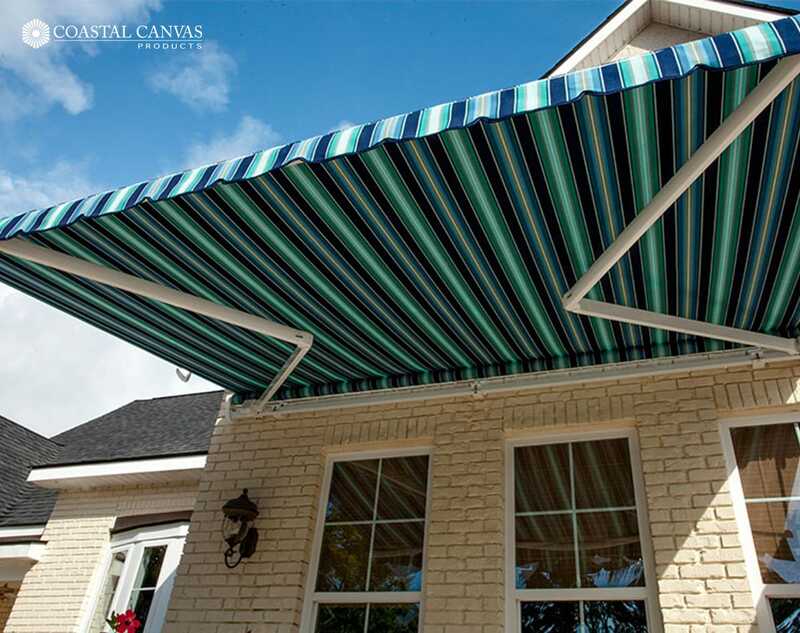 Your home is one-of-a-kind and your awning should be too. 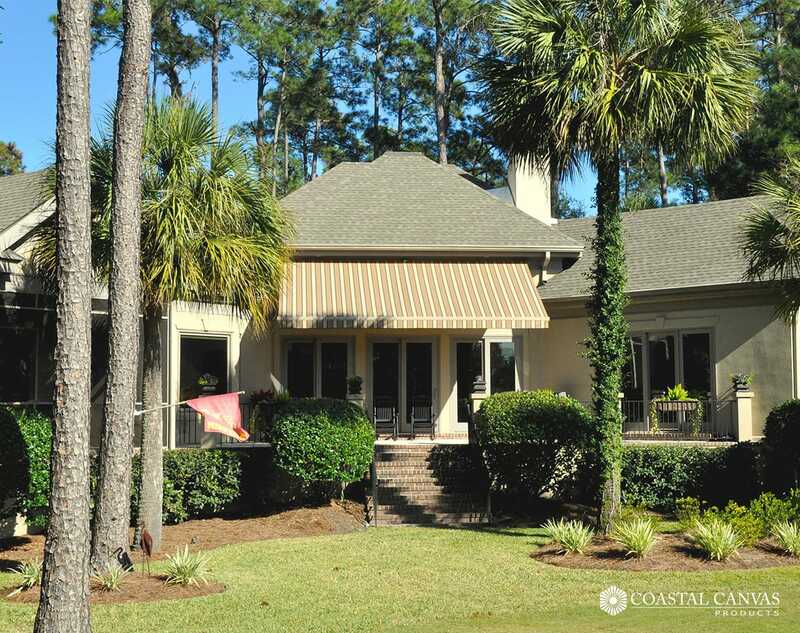 That's why we offer total customization so that each Coastal Canvas Awning is made to the distinct needs and style of each homeowner. And our Retractable Awnings don't just add beauty and space to your home, they also add equity - your covered outdoor space increases living area and value. Without protection, you can't fully enjoy your outdoor living area. 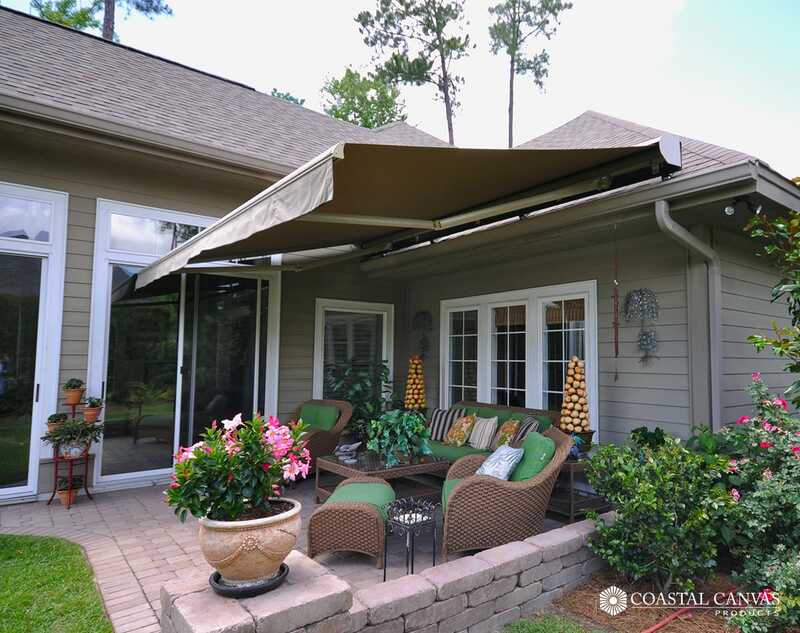 A Retractable Awning allows you to expand your home's livable area, effectively adding a customized outdoor room. 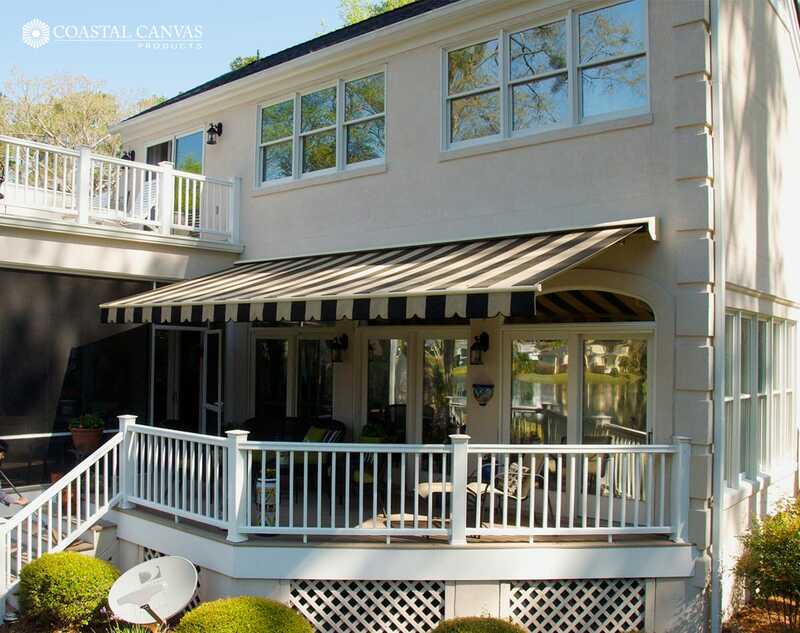 Unlike permanent patio awnings, roofs, and enclosures, Retractable Awnings can be retracted during darker times of the day, or on cloudy days, to brighten the interior of your home naturally. Protect your indoor furnishings. The sun's UV rays can severely damage and fade furniture, carpet, upholstery, drapes and flooring. 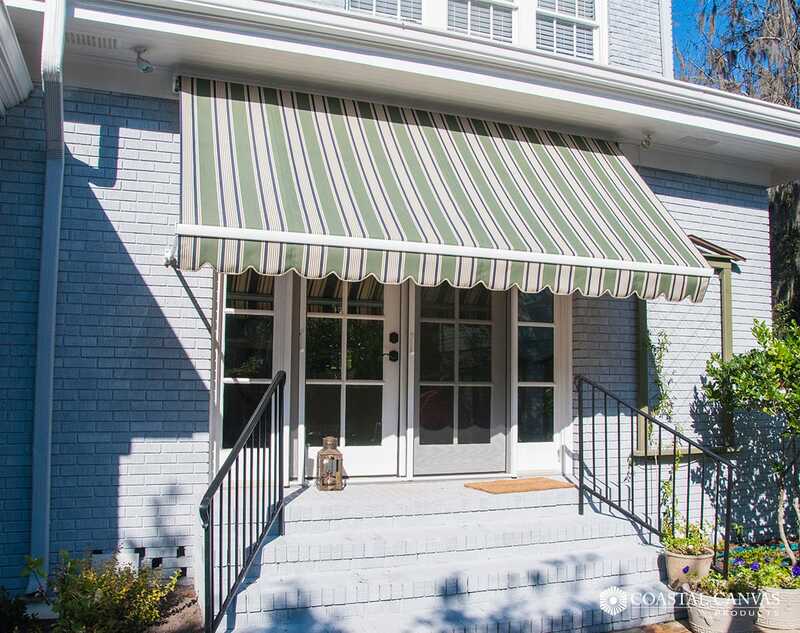 You can protect your valuable interior furnishings and prolong their life with a retractable awning. Our awnings help lower energy costs year-round. 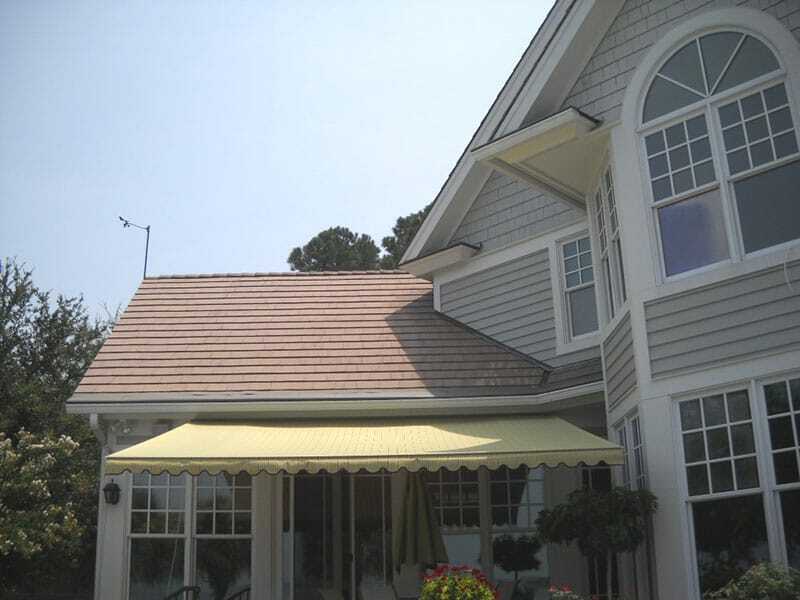 On warm days, extend your awning to block the sun from entering your home. Shading your interior will naturally cool your home and reduce air conditioning costs up to 25%. 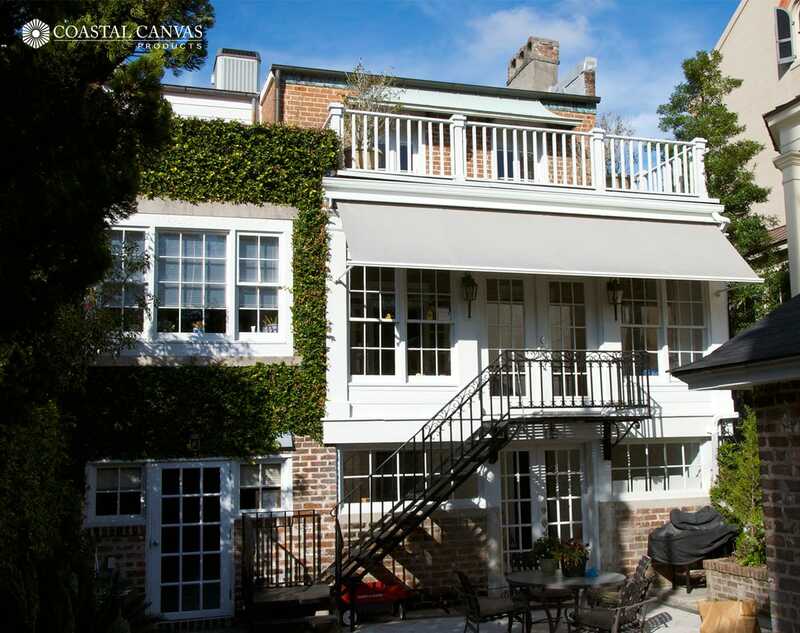 On cold days, you can retract your awning, allowing the sun to help heat your home.